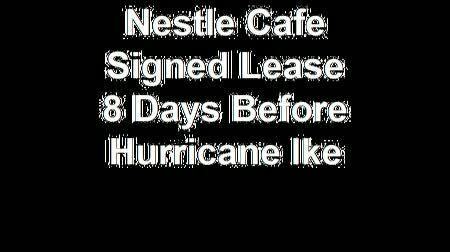 Delinda and Chuck Sanchelli, the owners of Galveston’s Nestle Toll House Café by Chip, first signed their lease six days before Hurricane Ike struck the island on Sept. 13, 2008. Despite this foreboding start, they decided to rise to the challenge of opening their doors in the wake of recovery. Nestle Toll House Café opened one year after Ike ravaged Galveston. 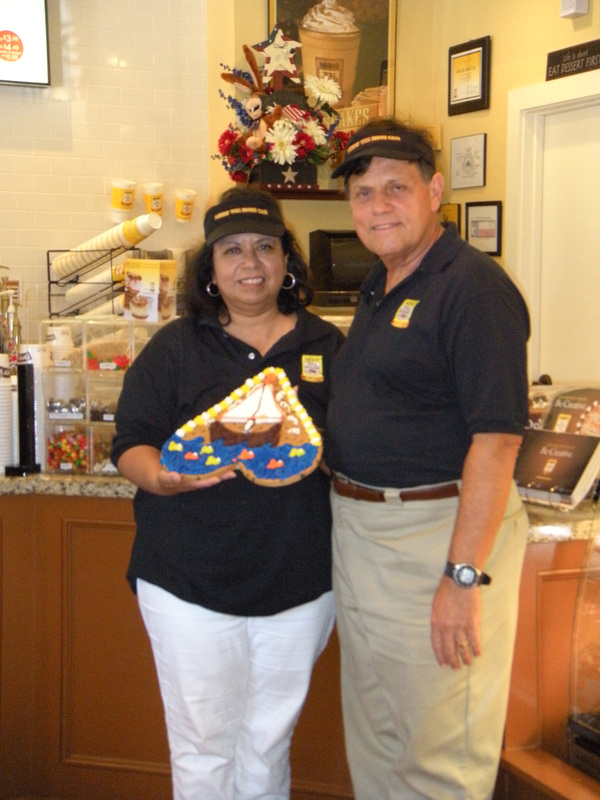 Today, visitors of the Nestle Toll House Café are warmly welcomed with a smile and the scent of freshly baked cookies. The café offers a wide variety of food not often found in niche restaurants. 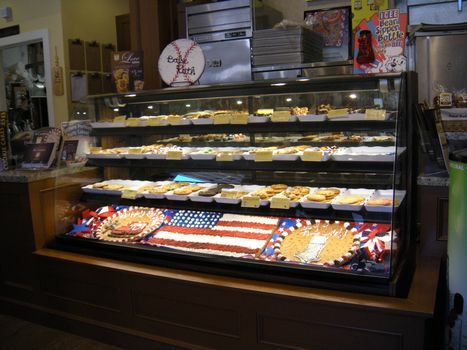 While Nestle is known for their cookies and cookie cakes, visitors to Galveston may be surprised by the varieties of sandwiches, wraps, breakfast items, smoothies and coffee drinks available. They also serve Dreyer’s Grand Ice Cream. The café not only offers specials during the usual holidays, but also during special community events such as ArtWalk and Dickens on The Strand. “It’s important for us as a business to participate in community activities,” says Delinda. Nestle was a sponsor for the Sunshine Kids fundraiser and has supported the Ronald McDonald House charities as well as regularly holding fundraisers for local school and nonprofit organizations. Nestle Toll House Café is located at 126 23rd Street, directly across from Saengerfest park. They are open daily from 9 a.m. to 6 p.m.